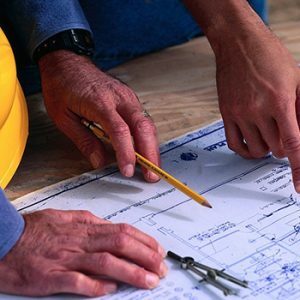 A universal trial that new developers face when customizing the build of a new development comes from failing to understand the importance of the permits and engineer documents that are, essentially, the blueprint for their entire proposition. Permitting not only requires knowledge of the local municipality code but established relationships with government agencies, which we take pride in having developed over our 40 years in the building industry. Using our resources, we remove the difficulty of obtaining required permits and are able to complete the process as expeditiously as possible. And much more! If there is a particular service you are looking to implement for your project, we can guide you in the right direction. Reach out to us today for a consultation and more information. Power is everything; you don’t need us to tell you that. Making sure the lights stay on and all of your electronics stay working properly is crucial for any structure. Our electricians have committed years of discipline to understanding the application of electricity and its industries. Light isn’t as simple as ‘On’ and ‘Off’. Natural light, electrical light, positioning and interior or exterior systems are a few of the dynamic properties in designing the layout of your lighting structure. We want to provide you with the most efficient layout that will use your electricity to its fullest potential. The final stage in the delivery of electrical power is in its distributor. It would be a waste of energy to have it all stop here. Our electrical engineers ensure that every line and grid is connected and perfected when it comes to getting you your power. Leadership in Energy and Environmental Design, is changing the way modern construction is designed and executed. If you are interested in strengthening the resources and making green building a priority of your development project speak to our professionals to learn more. While permitting and preparing the land for building is a big part of the battle, it is only half of it. Your project and what goes into it are a testament to your brand, and if your work doesn’t stick to the proper standard it can come back to haunt you with hazardous disrepair and inconvenient and unexpected overhauls. If you want to be certain that your development keeps flowing smoothly then you have to invest in proper plumbing due diligence. What goes into the building is important, but what goes under it is just as significant! Proper plumbing and hot or cold water management systems are necessities, and if they are not kept in check the repercussions can be tremendous. That’s why we take the initiative to accurately build high-quality and efficient flow designs. Natures elements can prove tough to master, but with the proper due diligence and engineering procedures backing your project you can protect your asset in the most effective and protective ways possible. We can help with all of your permitting and engineering needs. Click here to contact us!